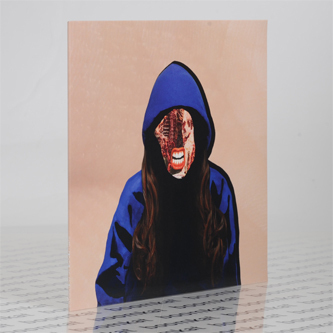 Brighton's Elizabeth Bernholz aka Gazelle Twin follows guest appearances for Alex Banks and Answer Code Request with a dramatic debut album of skewed electro-pop for Anti-Ghost Moon Ray Records. Her choice of previous collaborators gives a fair indication of her sound, but factor in additional production and mixing by analogue whizz-kid Benge, and connections with the likes of Scanner and John Foxx and you have abetter grasp of her queered, eldritch sound before you've even heard it. Between the crushed techno exoeskeleton of 'Unflesh', the woozy ambient pop of 'Anti Body', and the melting torch song of 'I Feel Blood', the closest comparison for her spectrum of strange vocals and taut, technoid backing lies somewhere in the midst of Planningtorock, Emika or Glasser.